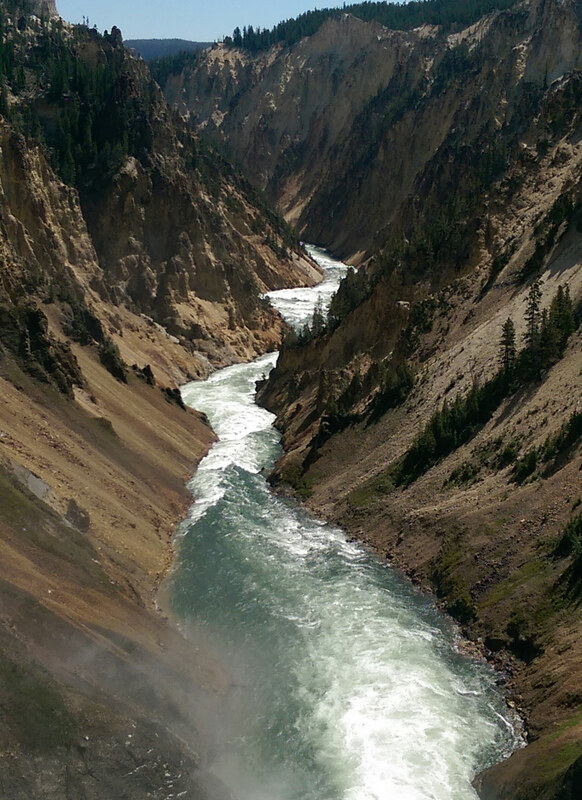 You might be a Montanan if Yellowstone National Park was your annual vacation spot. mean? Does being a Montanan mean anything? When one looks up the word “Montanan” in the Urban Dictionary (that unfathomable well of knowledge), the following appears: “Oh man, you’re a Montanan? Cool. So, do you carry guns and drive 100 mph all the time?” According to this same source, Montana is defined as, “Ladies bag bucks, catch monster fish, and will slap you if you reject hunting or fishing, or even are part of PETA. Men do the same.” The internet paints a picture of jaw droppingly gorgeous mountains that, in order to be a true Montanan, one must camp in for at least half the year. In addition to this, one must be able to skin a deer with a Swiss army knife that is ever-present in one of the many pockets of those ever present camouflage cargo pants. Also, one must catch fish with one’s bare hands while balancing on a log careening through white water rapids. Now, obviously, this is an exaggeration, but what comes to mind when “Montanan” is uttered? So, what then is the Montanan, this new man? Of course, one could say, as junior Andrew Heaton did, “Well, that’s simple! It means to have Montana citizenship.” But clearly, this is far too simple of an explanation. Being a Montanan is more than just residing in Montana. It’s doing things yourself. It’s driving four wheelers down main street. It’s knowing how to use jumper cables from vast experience, not a book. It’s hunting and skiing. And, perhaps most importantly, it’s rejoicing in the fact that in Montana, there are three times as many cows as people.